Volunteer Reader Leader Melanie Devine honoured by Taunton-Deane Mayor in Citizenship Awards. The Reader secure PQASSO Level 2! We’re delighted to announce that The Reader has secured PQASSO Level 2. Author Emma WalshPosted on 25th November 2016 17th February 2017 Categories Awards, The ReaderTags wellbeing; quality; PQASSO; Workplace Wellbeing CharterLeave a comment on The Reader secure PQASSO Level 2! Last week our wonderful team of volunteers in Knowsley took second place in the Special Recognition for Outstanding Contribution in Communities at the Knowsley Sport and Cultural Awards 2016. 2015 has been another big year of expansion at our base at Calderstones and we’re very pleased to announce that the next stage of redevelopment of Calderstones Mansion is imminent, thanks to a secured confirmed grant of £1.99million from Heritage Lottery Fund (HLF). In 2014, The Reader at Calderstones project received initial first-round development funding and support from HLF, focusing on building a series of history-based events, talks and workshops showcasing the heritage of the Mansion and the surrounding park. The new investment will enable us to build on the work that has already taken place creating a flagship International Centre for Reading for the future of the Grade II listed building whilst also commemorating and celebrating its past glories. A crucial part of the regeneration will be the rehousing of The Calderstones, the oldest human monument in Liverpool. These forgotten Neolithic treasures are older than the Pyramids and will now be brought back into the heart of Calderstones Park, where their conditions will be significantly improved for present and future generations to enjoy. Liverpool City Council, National Museums Liverpool and Manchester University have all been consulted as part of the process. Initial work will begin in 2016 to secure the building which over the years has fallen into a state of disrepair. Currently hidden architecturally significant elements will be carefully revealed and restored, bringing the Mansion back to life. The finished regeneration of the building will house a heritage room which will show how one of the many rooms in the Mansion may have looked in 1880 in its heyday. Visitors will get the opportunity to interact with objects and learn about the history of the house at that time. As well as these key historical features, there will be four reading rooms allowing us to continue our shared reading groups at Calderstones, bringing people together to read great literature out loud as a practical way of improving wellbeing, building stronger communities and extending reading pleasure. A newly created bistro will also allow visitors to relax after their visit and soak up and reflect on the atmosphere of the house. With this news we’re looking forward to 2016 bringing in the biggest chapter yet in the story of Calderstones Mansion. For more news and updates about what’s happening at the Mansion, head over to the Calderstones Mansion blog. Reading with Looked After Children in Wirral: Pudsey approved! Earlier this year, we were awarded a grant from Children in Need to fund our project reading with Looked After Children in Wirral. Our previous work with Looked After Children across Merseyside has shown how reading for pleasure can bring a variety of benefits, not least in creating a safe environment in which young people can engage with literature that relates to them. By reading one-on-one with a project worker or volunteer in a familiar setting, children are able to expand their imaginations and discover new possibilities. Not only does our shared reading approach encourage a love for reading for the sheer fun of doing so, but also allows young people to reflect on the experiences of the characters they encounter, stimulating a greater sense of empathy and understanding. Making children excited about books in their own space often gives the incentive of wanting to read more, and so we’ve found that confidence with literacy increases, as does general self-esteem. Over the next three years, we’ll be able to create more of these reading experiences for over 100 young people aged between 5-15 on the Wirral thanks to the funding received by Children in Need. We’ve already started to recruit volunteers who will be matched with a child for one-to-one reading sessions in foster and care homes. After six months, young people will be able to continue by taking part in group sessions with their peers, encouraging friendships to be formed as well as their love of reading to grow. Author LisaPosted on 12th November 2015 17th February 2017 Categories Awards, Children's Literature, Merseyside, Reading for pleasure, Schools & Young People, Shared Reading, VolunteeringTags Children in Need, confidence, literacy, looked after children, Reading For Pleasure, self-esteem, WirralLeave a comment on Reading with Looked After Children in Wirral: Pudsey approved! Wonderful news to share from our HQ as we can announce that The Reader has made the shortlist for two prestigious awards highlighting the impacts that social enterprises are making both on a regional and national level. For the third year running, we’ve been shortlisted in the Social Enterprise Network Powerful Together Awards. For the 2015 Awards, The Reader has been listed in the Growth Award category, recognising businesses and social enterprises that have a track record of consistent growth in the Liverpool City region against the backdrop of a difficult economy, clearly demonstrating entrepreneuralism and resilience. A total of 20 organisations made the shortlist from 90 nominations, and we’re delighted to be included in the category – especially at a time when our social enterprises are expanding at our base at Calderstones, with the imminent launch of both The Reader Ice Cream Parlour and Storybarn, the North West’s first interactive story centre for children and families. We’re proud to have our impact recognised on a nationwide scale, as we have also made the shortlist for the 2015 NatWest SE100 Awards. 21 organisations from across the UK have been selected from 1,200 organisations signed up to the SE100 Index, highlighting the strength of the social enterprise sector and its ability to create both social change and economic growth nationwide. We’re on the list for the Resilience Award, alongside three other organisations from around the country, highlighting social ventures which ‘continually deliver positive social or environmental change and repeatedly achieve impact goals, keeping focused on delivering their mission whatever the weather’. The Reader is one of only two social enterprises representing the North West on the shortlist so we’re thrilled to be flying the flag for our home region. The winners of both the Powerful Together Awards and NatWest SE100 Awards will be announced later this month, so we’re keeping our fingers crossed and wishing the very best of luck to our fellow nominees. We’re always keen to point out the links between shared reading, great literature and good wellbeing, but our credentials for healthy living here at The Reader Organisation have been given another boost as we have been reaccredited for the Workplace Wellbeing Charter. The Workplace Wellbeing Charter is an opportunity for organisations to demonstrate their commitment to the health and wellbeing of their workforce. Like the shared reading groups we run throughout the UK each week, the Charter takes a holistic approach to wellbeing that includes leadership, culture and communication, as well as health and wellbeing topics such as physical activity and mental health, promoting rounded discussions between employers and employees. The standards reflect best practice and are endorsed nationally by Public Health England, with our accreditation carried out by Health@Work. Being based in the beautiful and blooming surroundings of Calderstones Park in Liverpool, we were already off to a good start (taking a look at The Allerton Oak and a particularly lovely magnolia tree provides the perfect opportunity to get into the fresh air and clear our minds) but we’re very pleased to report an overall achievement in the several categories of wellbeing outlined by the Charter. The Reader Organisation’s values are to be highly praised. It is clear that this set of eight values runs right through the heart of the organisation and is not merely theoretical or tokenistic. Other stand-out points included the support given to staff in their roles through methods including a personal development programme, action to encourage staff participation to become involved in physical activity and our shared lunches each Monday, bringing staff together with lots of good, healthy food. We’re proud to be wearing the badge for wellbeing, demonstrating our commitment to encourage positive practices both inside and outside of the organisation. 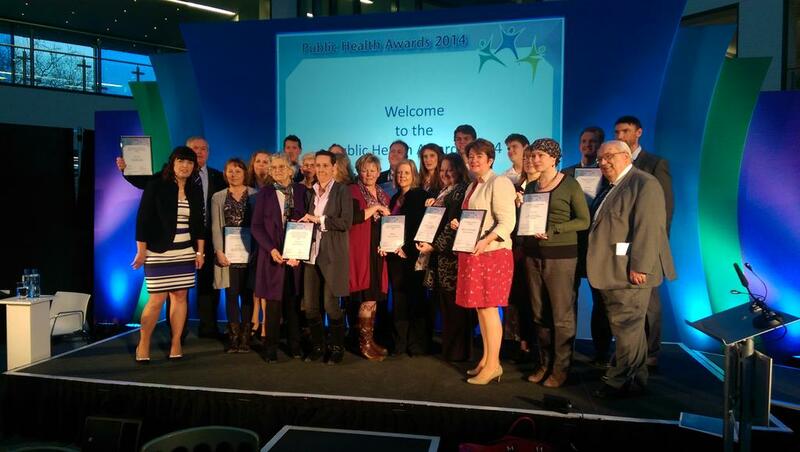 A huge congratulations go to The Reader Organisation in the South West, who were winners at the Wiltshire Public Health Awards last night. Our Wiltshire shared reading project, running in partnership with Wiltshire Libraries, picked up the prize for improved mental health and wellbeing across the area. Running since January 2014, Library Memory Groups bring the shared reading experience to people living with dementia and memory loss on a weekly basis. With poems and short stories that are read aloud, group members are immersed in a calm and relaxed atmosphere, with the texts being read and digested allowing people to piece together collective personal memories related to the stories and poems, which in turn encourages feelings of wellbeing. 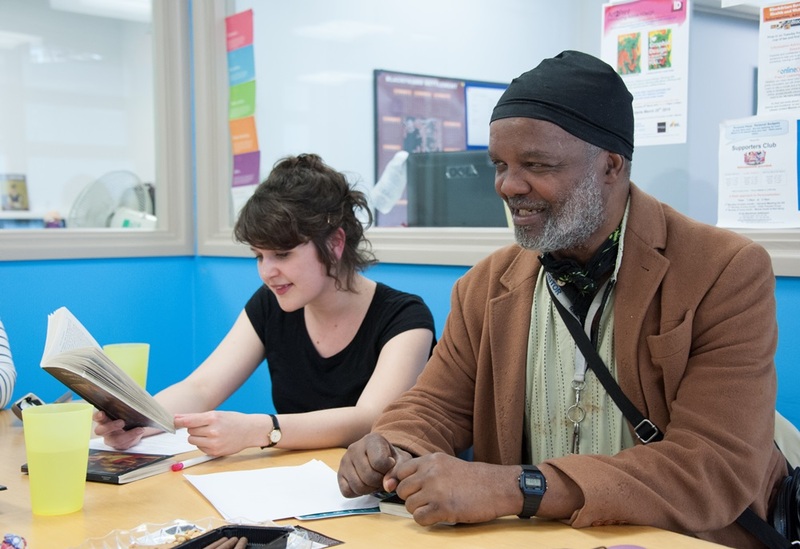 Group members and their family members and carers have reported that the weekly sessions have a positive impact on their mood, allowing them to rediscover and enjoy literature with others and giving the opportunity to make new friends and connections within their community. The project has also involved volunteers to assist in running the groups, allowing it to extend further across the region. The Wiltshire Public Health Awards, run by Wiltshire Council, recognise individuals, projects and organisations for their contributions to improving the health and wellbeing of people who live and work in Wiltshire in nine different categories, including the mental health award. This year’s awards saw a staggering 120 nominees enter, so the achievement is something we’re especially proud of. Jennifer McDerra, The Reader Organisation’s Development Manager for Public Health and Dementia, was at the ceremony in Trowbridge to pick up the award on behalf of the team. A special congratulations goes to Wiltshire Project Worker Josephine Corcoran who has done so much to get the project off the ground and maintained its success onto to award-winning status!